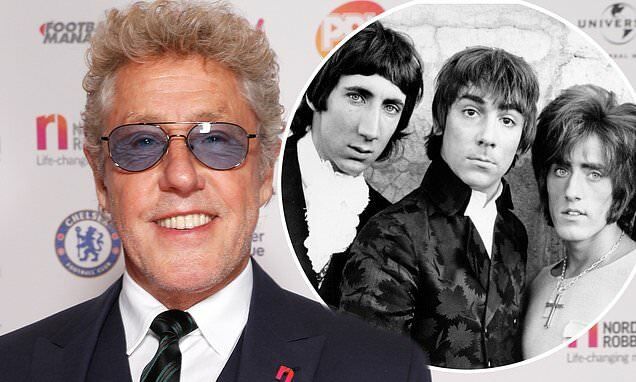 Roger Daltrey has revealed he had three children whose existence he wasn't aware of until after his 50th birthday, and has also admitted that he was seen as 'the enemy' by The Who bandmates. The singer, now 74, confessed that he had absolutely no idea that he'd fathered the trio in the 60s at some point between his divorce and second marriage. Speaking to The Mirror, he revealed the first he knew of them was when he was sent a picture by one of the girls on his 50th birthday, with another two women reaching out later in life after seeing him listed as their father on adoption papers. Roger - who is now a father of eight - explained: 'They all came into my life after my 50th birthday.It was great – it's all worked out. They stay in touch and they're close, so that's great. Roger added that he had mixed emotions upon learning about his children: overwhelming joy at discovering them, sadness that they had been put up for adoption, and a natural instinct to warmly welcome all three 'surprise kids' into his family. Roger also has five other children: Simon, 55, with his first wife Jackie; Mathias, 50, with Swedish model Elisabeth Aronsson; and Rosie, 46, Willow, 43, and Jamie, 37, with his second wife, model Heather Taylor. Roger has been reliving his rock and roll past as he promotes his autobiography Thanks A Lot Mr Kibblewhite, admitting in the tome that he was seen as the 'enemy' by his bandmates.